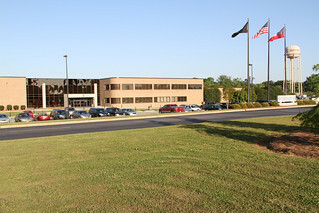 The Georgia Public Safety Training Center’s 200,000-square foot Academic Complex at our Forsyth Campus serves thousands of public safety officials every year. The complex houses the administrative offices that support training as well as classrooms, labs, the auditorium, the conference center, the cafeteria, a gym and weight room, and student dormitories. All classrooms within the Academic Complex are Wi-Fi enabled.